The AMIGO™ provides the operator all the functionality and advantages of TSC’s Alternating Current Field Measurement (ACFM®) in a portable package. 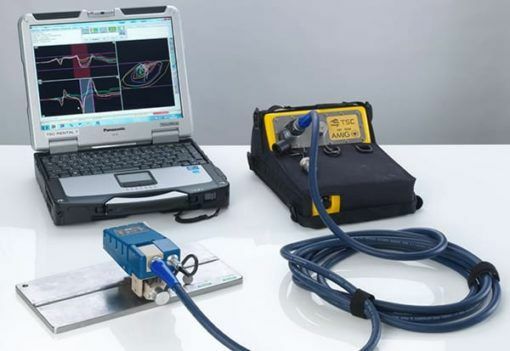 Reliable crack detection with accurate sizing, in both length and depth, is quickly achieved using a rapid scanning technique with a hand held probe. Reduced cleaning requirements, as there is no need to clean to bare metal, add to the time savings gained when using ACFM® for your inspection campaigns. The AMIGO™ has the benefits of a long battery life and is a rugged site unit, rated to IP54. Capable of inspecting through thin metallic coatings and non-conductive coatings several millimeters thick, for a wide range of geometries, the AMIGO™ provides ACFM® solutions for a broad scope of general inspection applications. These features make the AMIGO™ Instrument the best solution for top-side inspection crack detection. Rapid scanning using a hand-held probe. Reliable crack detection with accurate sizing (length and depth). 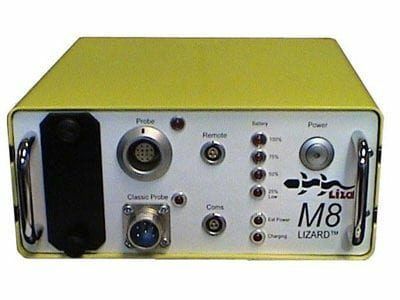 Rugged site unit, IP54 rated. At least 5 hour operation on one fully-charged battery pack and easy exchange of battery packs in the field.